Yet another trend from the ’90s that’s back and is definitely here to stay—hoop earrings. We spotted the good ol’ hoops making a strong statement at Ritu Kumar’s show on Day 1 of Lakmé Fashion Week. After seeing all the gorgeous tinted sunglasses at Rajesh Pratap Singh’s show, our inner retro lover has risen again. 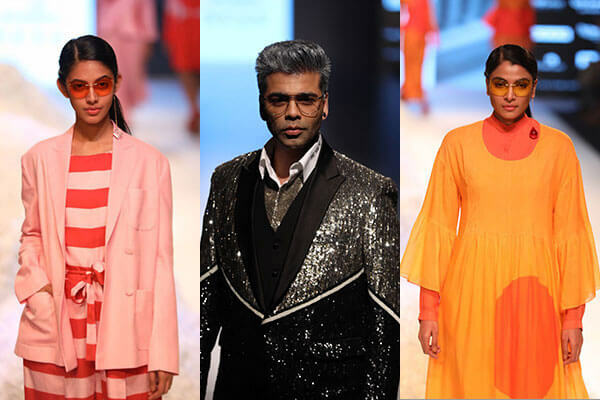 Also, how dapper is Falguni and Shane Peacock’s showstopper Karan Johar in transparent aviator glasses? 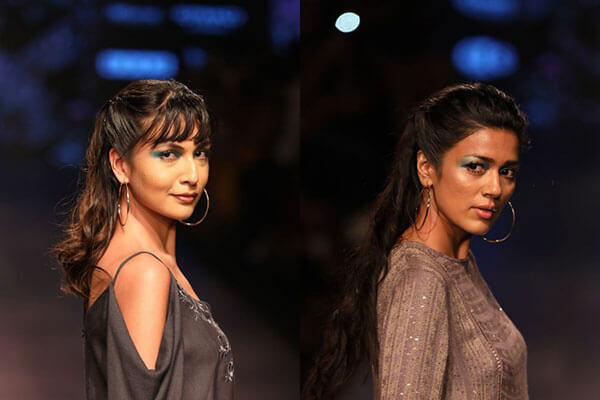 Definitely our favourites from Day 2 and 3 at Lakmé Fashion Week. 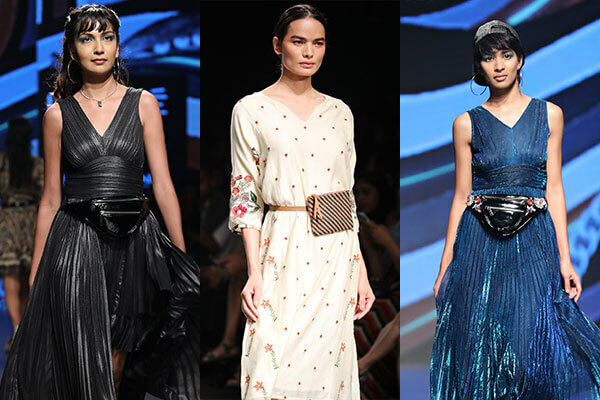 Soon after the Gucci fanny pack suddenly became huge in the West, we spotted it on Ritu Kumar’s runway on Day 1 of Lakmé Fashion Week and Day 3 at Rahul n Shikha’s show. TBH we don’t mind getting one for ourselves. We’ve always loved chunky silver accessories that exude major boho vibes. 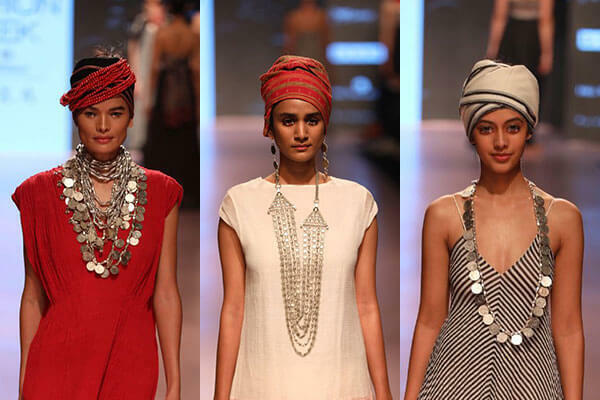 At the Northeast Mojo show on Day 2 of Lakmé Fashion Week, we noticed an array of statement neckpieces that we wanted to steal rightaway! 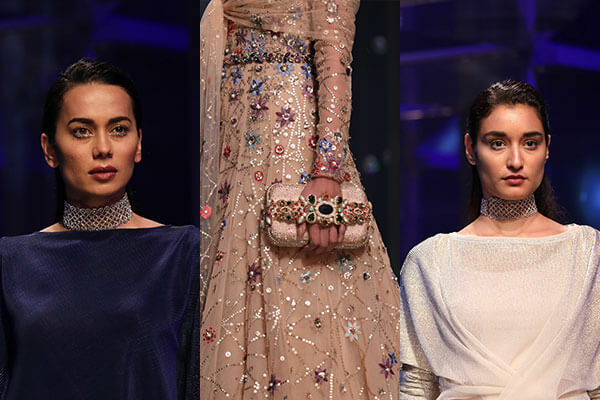 Tarun Tahiliani’s collection ‘Tarakini’ was nothing less than a fairy tale–the gleaming celestial outfits with delicate floral details, the muted coloured ensembles, all of them left us in awe. In addition to the dreamy outfits, the studded chokers caught our attention. Guess it’s finally time to move on with the basic black choker and upgrade to a shimmery choker, thanks to the trendsetting designer himself. We also absolutely couldn’t get our eyes off the blingy clutches on the runway. 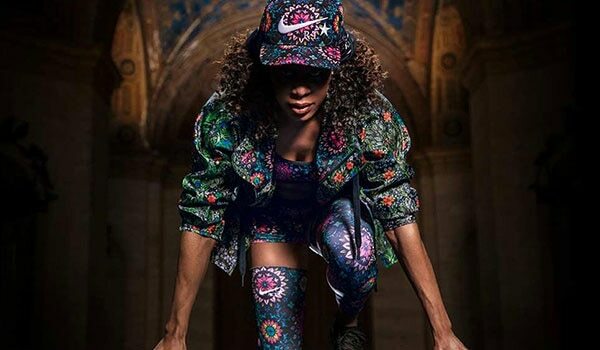 Making an accessory like belts a statement is quite a challenge, but did the designers do an impeccable job at it or what! 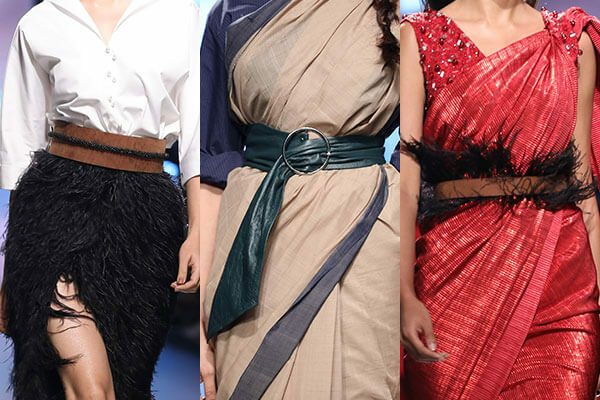 From feather belts by Shweta Kapur to innovative ways of wearing them (our faves being the belt over saree trend by Goodloom and Shweta Kapur), this underrated accessory ruled the runway at the Lakmé Fashion Week.